WASHINGTON, D.C. - Consumers should stop using this product, which is being recalled voluntarily, unless otherwise instructed. It is illegal to resell or attempt to resell a recalled consumer product. Direct Buy stores and furniture stores nationwide and online at Amazon.com and various other websites from August 2008 through March 2013 for between $400 and $3,000. CPSC is charged with protecting the public from unreasonable risks of injury or death associated with the use of the thousands of consumer products under the agency’s jurisdiction. Deaths, injuries and property damage from consumer product incidents cost the nation more than $900 billion annually. CPSC is committed to protecting consumers and families from products that pose a fire, electrical, chemical or mechanical hazard. CPSC’s work to ensure the safety of consumer products - such as toys, cribs, power tools, cigarette lighters and household chemicals – contributed to a decline in the rate of deaths and injuries associated with consumer products over the past 30 years. The night stands are marked with permanent labels on the back reflecting the importer's name and address, as well as the item numbers. They have two drawers and a halogen lamp on the underside of the bottom panel. The 20-watt halogen night lamp on the bottom of the night stand can generate sufficient heat to scorch the carpet underneath it. Lea has received one report from Canada of the light scorching the carpet under the night stand. 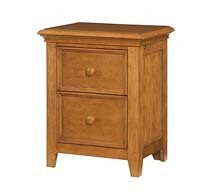 Health Canada has not received any reports of consumer incidents or injuries to Canadians related to the use of these night stands. Approximately 20 units were sold in Canada at various retailers. Approximately 479 units were sold in the United States at various retailers. The affected products were sold in Canada and the United States from March 2013 to April 2014. Consumers should immediately unplug the night stand and not use the light until it is repaired. Consumers may contact Lea Furniture at 1-888-770-7116 from 8:00 a.m. to 5:00 p.m. ET (Monday to Friday) or via the Lea Lazboy's website, for more information and to arrange for the repair. Read the full Health Canada announcement here. Read the full recall alert. Downloadable PDF is available here. Download approved Frequently Asked Questions here. Download the Healthy Canadians Alert here. For a step-by-step video guide on replacing your Lea bed rails, please see our videos on YouTube. BUNK BED & LOFT BED DESIGNS ARE TESTED & INDEPENDENTLY CERTIFIED TO MEET ALL REQUIREMENTS OF ASTM F-1427 STANDARD CONSUMER SAFETY SPECIFICATION FOR BUNK BEDS & THE GOVERNMENT CODE OF FEDERAL REGULATIONS 1213 & 1513. Lead free child safe finishes that meet all US Safety requirements. Slat roll mattress support systems provide mattress support without the need for a boxspring or a bunkie board and come standard with all Nick Collection beds. Each slat fastens with a screw providing additional strength and structural integrity to the beds. Anti-tip over restraint kits that will secure the case to the wall to prevent cases from tipping over are included with all cases 30" tall or taller. All beds feature metal connectors for strength and lasting durability and to prevent unintentional rail detachment.